This book grabbed me by the throat and didn’t let go for a second. I used to live in Uganda and Zambia, and Nollywood drama was part of the background; this book is Nollywood drama run headlong into alien invasion, all steeped in Nigeria’s history, both real and legendary. 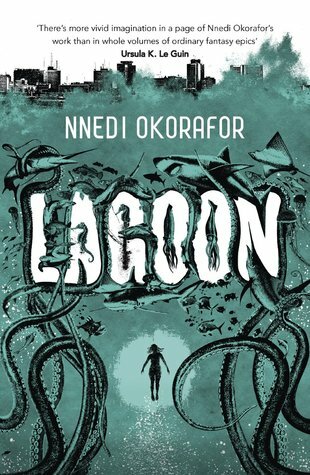 It starts out looking like an eco-thriller, then weaves together the lives of a marine biologist, a soldier with strong ethics, and a Ghanaian rapper. The book is impressive in ambition and it doesn’t spoon-feed a thing; you’ll be rewarded with a range of emotion from terror to bleak, black humour.